The tricky winger was born in Sao Paulo in 1982. He had his Polish citizenship fast-tracked in April 2008, with the help of Poland’s head coach, Leo Beenhakker. Born in 1977 in SÃ£o Bernardo do Campo, but was never called upon to play for Brazil. He arrived in Portugal at the age of 19. In 2002, having completed six years of Portuguese residence, he received Portuguese citizenship. Born in Sao Paolo in 1976, and granted Spanish citizenship in early 2006. Was part of the Spanish squad for the 2006 World Cup, and having a storming Euro 2008. The German striker was born in Rio in 1982, to a German-Hungarian dad and a Panamanian mum. He eventually opted to play for Germany, despite also being qualified to play for Brazil, Hungary and Panama. 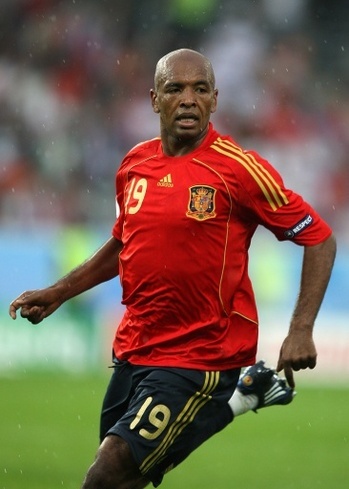 This Marcos Senna lookalike was born in Rio in 1977. He was the first naturalised player ever to play for Turkey’s senior international team. Chelsea’s new boss was born in Passo Fundo in 1948. Scolari also holds Italian citizenship, since his family emigrated from Veneto, in the north-east of Italy.